Want to protect your census and reduce re-admission rates? Interested in increasing your revenues? Do you like to enhance resident and family satisfaction and provide outstanding clinical care to your residents? 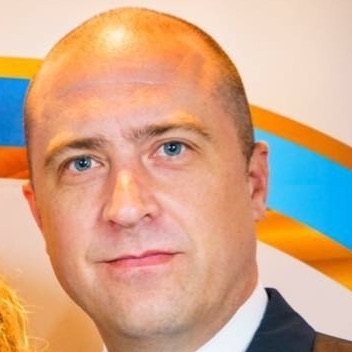 Do you want real-time access to Board Certified Specialists? Are you interested in after-hours clinical care? Residents in Assisted Living facilities can benefit from timely preventive care by quickly reaching their doctor via Telemedicine. During after hours and weekends they can reach our doctors for most of their clinical care needs. iDocsWeb for Urgent Care was designed with efficiency and follow-up care in mind. 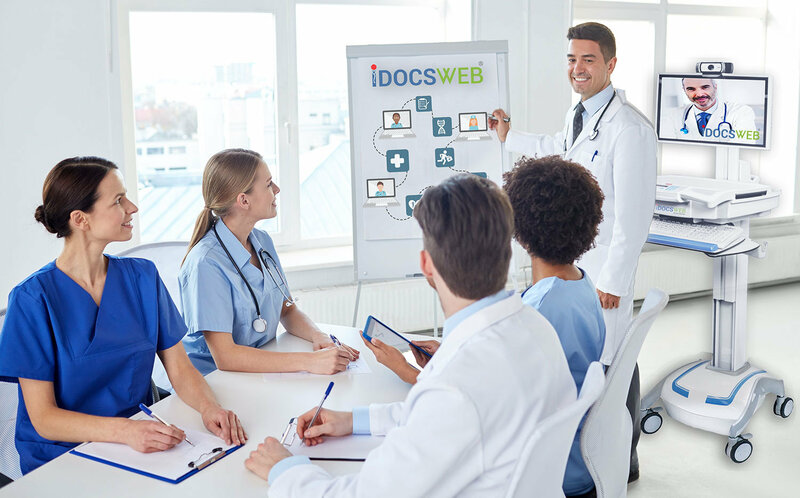 iDocsWeb is different from other telemedicine companies in part because it was developed and is currently operated by actively practicing physicians who experience the challenges of efficient care first-hand and on a daily basis. This has resulted in a truly turn-key telemedicine solution. Patients and families benefit from the better care while physicians, nurses, and administrators benefit from the better quality of life. Designed by Doctors, Specifically for LTC Use The iDocsWeb telemedicine platform was developed to be easy to use.. While traditional Telemedicine companies aim to replace doctors, we aim to assist doctors. Our approach is simple and effective- we provide the tools needed for better care. Our solution seamlessly links your patients with their existing doctors regardless of physical location. 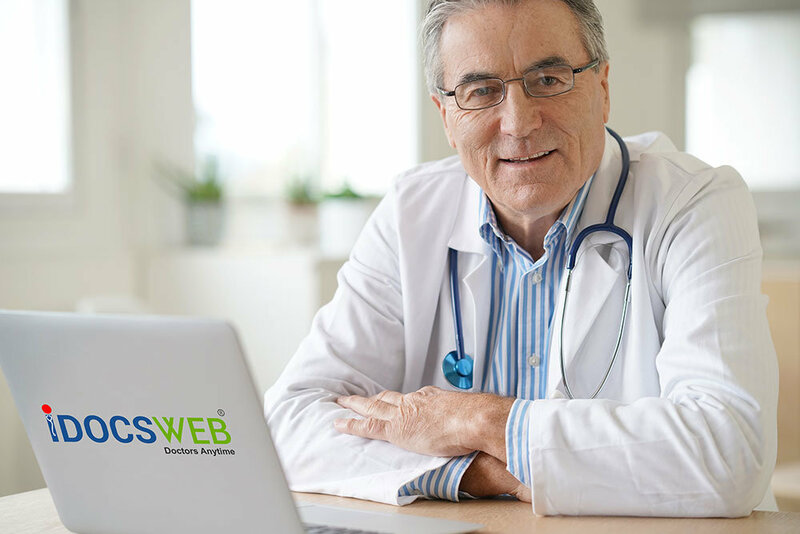 We bring off-site doctors to your patients on nights and weekend using the iDocsWeb platform. Our specialists will assist your doctors in treating patients where it is safest and most convenient- right at their bedside. "iDocsWeb has been an asset to our facility operations. Implementation of this program has allowed us to improve our continuum of care and decrease our re-hospitalization rate. Our clients are more comfortable knowing access to a physician is available anytime around the clock." 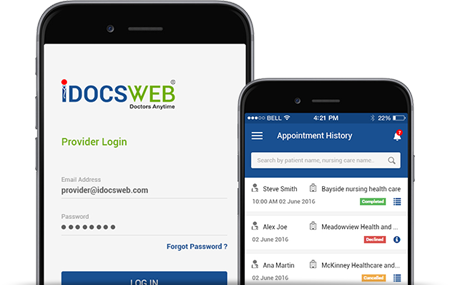 "Since the introduction of iDocsWeb systems to our community, it has been an exceptional benefit to us. 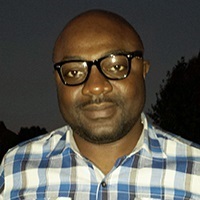 Not only has it helped us in preventing potential bounce backs to the hospitals, the iDocsWeb systems has also helped in giving our nurses the needed confidence to perform clinical assessment on complex residents’ change in conditions – confidence gained by observing the physicians during several iDocWeb sessions." 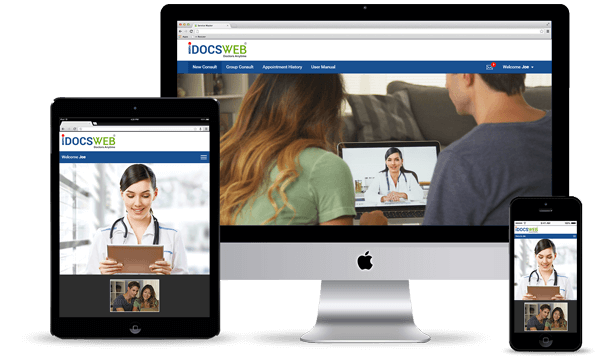 "iDocsWeb Telemedicine platform equips our physicians, clinicians and administrators with a progressive and thoughtful approach to managing and ensuring the Quality of Life of our residents. As an Operator I feel I have provided my team with an extraordinary tool to take on unnecessary hospitalization, maximize internal expert resources and achieve stakeholder satisfaction. iDocsWeb offers a solution to our strategic plan to advance our Quality goals and achieve Operational efficiencies at the same time."